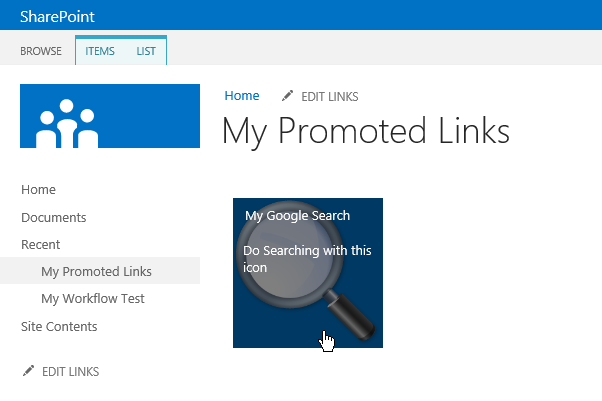 SharePoint 2013 – Links get Promoted! Of course, the Tiles view can be displayed in a Web Part that can be included on any ASPX page. So, easy to get a Metro type feel in your applications. Any thoughts on how one of these could be utilized in a masterpage for navigation without having to “rebuild” the feature? Am I blind, or just unfamiliar with SP2013. I have created a Promoted Link list with 2 items, but now I want to add a third item to the list. I have been looking in all menues and searched google, but I am not able to find the menu for “add item” for existing list. Thanks for the article. I created the list and added a tile but now I want to edit or delete the tile but I don’t see any option to do that. I can see the tile in the list but it doesn’t seem to have any option to edit the picture or delete it all together. Any thoughts? Finally found it. Tile View does not allow you to edit an item. 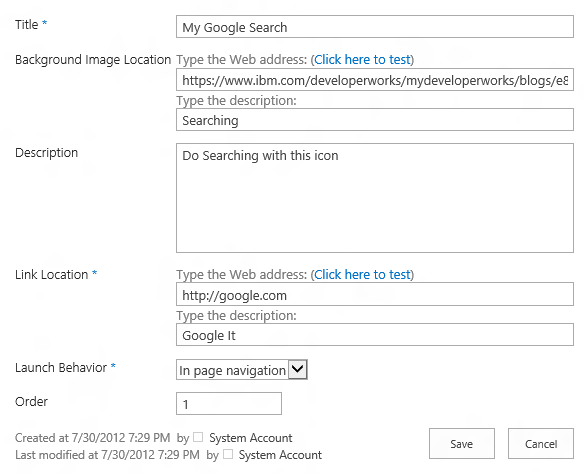 To edit an item that you have added to a Promoted Links list, change the view [Ribbon – List – Current VIew] from “Tiles” to “All Promoted Links”, and select the item that you wish to edit or delete item. Thank you MisterOle! Exactly what I was looking for. nice article for the MetroStyle but the Promoted link tile is not showing in the list when i clicked on “Add an App”. i am the administrator of the Sp2013. I cannot seem to find ‘Promoted Links App in my Ádd an App screen – please help? How Can we display in two columns format? Any idea as how to capture the Click event of the Icon?